The naturally occurring molecule enhances cell energy, protects DNA and has scientifically proven anti-ageing properties. The Biochemical acknowledgment that ageing is a chronic disorder accelerated by inflammation, is opening new paths to intervene and inhibit the ageing process in a noninvasive and natural way. The modern environment in which we all live in is loaded with pollution, toxins, stress and a poor diet deficient in the essential nutrients we need. Environmental issues are only adding to the problem of inflammation in our bodies. 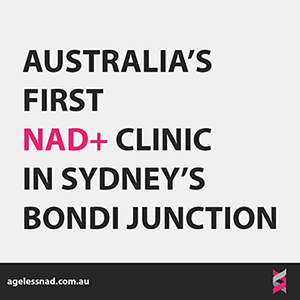 Ageless NAD is the only clinic in Australia to bring you I/V and Oral prescription NAD+. is neuroprotective against neurodegenerative diseases such as dementia. 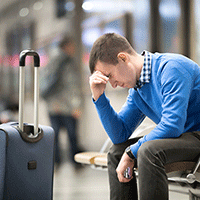 What is NAD and why do we need it? NAD+ is a coenzyme (a b3 vitamin derivative) that is needed by every single one of the billions of cellular chemical reactions that occur in the human body, and every other living organism, every day. It is what keeps mitochondria functioning at an optimal level by regulating the energy in each and every cell and as NAD+ levels decline (with age) mitochondrial activity deteriorates and the cells die. Do you: exercise regularly, eat a well-balanced diet, dont smoke, limit our Alcohol intake to within the recommended guidelines, have a reasonably stress free life, and ensure a to get at least 6-8 hours of sleep keeping our circadian rhythm regular? If the answer is yes, then you are helping to ensure you age well and minimise the risks of many illnesses and disorders. However many of us are unable to adhere to these commitments for a variety of reasons one of those reasons is simply choice. Our health and lifestyle choices have an effect on our bodies. Sustained stress can be harmful to our bodies ability to produce the NAD+ needed for repair with potentially devastating consequences. How does NAD effect me? 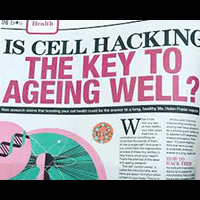 As we grow older our bodies NAD+ supply depletes, mitochondrial activity and cellular health declines and living organisms as a whole are increasingly susceptible to cellular malfunction and disease. Eventually decreasing NAD+ levels result in a loss of protective proteins that repair DNA damage. The cells lose the ability to communicate effectively and DNA coding errors occur that enables the production of damaging proteins that can lead to metabolic disorders like diabetes and heart disease as well as neurological disorders like Alzheimers and DNA error based cancer formation. A treatment that replenishes intracellular NAD+ has the potential to decrease the severity of neuropathology and normalize neuromuscular function — a result which has been shown to delay memory loss and extend lifespan in animal models. It has only been the recent studies that have given new understanding to NAD+ and its role in not only preventing cellular decay but more importantly, how it helps with DNA cellular repair. Vascular ageing has been scientifically proven as one of the primary causes of degenerative disease, diseases of the heart, lung, brain, in fact, many organs of the body. Science has demonstrated NAD+ improves vascular integrity and human clinical trials demonstrate an improvement in cognitive function. Although relatively new to Australia, NAD+ has been used in the US since 1995 as a safe and effective treatment for anxiety, depression and diseases of addiction. Our colleagues at the Victor Chang institute in Sydney have also recently identified NAD+ as a powerful contributor to both maternal and foetal health. Did you know NAD+ enhances cell energy, and protects DNA and has scientifically proven anti-ageing properties? Ageless NAD+ clinics aim to put into practice the extraordinary scientific breakthroughs that have occurred in both anti-ageing and cellular repair over the last twenty years. By flooding the body with custom compounded NAD+ via infusion, our NAD+ treatment clinic then offers tailored medical prescriptions for the highest grade, Australian pharmacy compounded oral NAD+ supplements. Research (2018) has scientifically proven this treatment to increase NAD+ levels by 33- 200 percent. Ageless NAD+ is actively engaged with leading scientists, doctors, mental health professionals, addiction and rehab specialists as well as leading naturopaths, chiropractors, osteopaths, and nutritionists to further study the potential benefits of NAD+ therapy. 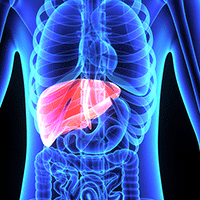 All clients will be assessed by our medical team and have their baseline NAD+ biochemistry measured. Their levels can be tracked during and after IV NAD+ infusions and (prescription only) NAD+ boosting vitamin supplements. We are committed to raising the awareness of this powerful nutritive therapy with an ongoing commitment to NAD+ research and education. Our goal is to widen the access to NAD+ therapy, particularly in the field of healthy ageing, addiction therapy, chronic disease prevention, and neurodegenerative disorders. Treatments that increase intracellular NAD+ also stimulate neuronal DNA repair and improve mitochondrial quality. 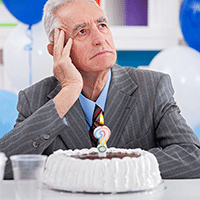 A recent study finally links two major theories on ageing, being DNA damage accumulation and subsequent mitochondrial dysfunction have a significant role in premature aging and cellular decline. The importance of NAD+ is continually being uncovered by the scientific community (and is still emerging) yet powerful treatment offering at clinics in London and the U.S for general anti-ageing treatments but also for neurodegenerative diseases. That is degenerative diseases relating to the brain that inevitably lead to Alzheimer's like illness with loss of memory, cognitive function and eventual death. The most exciting field of NAD+ therapy has however been in its use in addiction and rehabilitation by normalising NAD+ ratios in the brain. This five to 10-day protocol has revolutionised the treatment of addiction in the United States and Europe.